There are certain beers that, every time you go to the supermarket, you see in the beer aisle but never get around to trying. You might wonder if they are worthwhile or not. Although I haven’t reviewed every beer you’re likely to encounter in such a situation (yet), I’d like to point you to one you might be over-looking: Sierra Nevada Pale Ale. This is a beer that almost single-handedly started the craft beer revolution 30 years ago (although this is up for debate). Regardless, the fact remains that it’s much tastier than your typical American macro lager and sells in the same locales for about the same price. It’s a smallfry that can most definitely hang with the big boys. The appearance is a clear shade of copper with a bit of a yellow hue. There is plenty of carbonation present, which is expected since this beer is technically bottle-fermented and unfiltered. The head is off-white, rocky in shape but foamy in composition. It lingers for quite a while and leaves some lacing on the glass. The scent is a powerful floral aroma, which is very light and inviting. I’m a hophead and a big fan of the India Pale Ale style of beer, so when I took my first swig of Sierra Nevada Pale Ale I was immediately reminded of the IPA style. The brewer’s website indicates this beer has an IBU rating of 37, which I would consider rather mild. The hop bite here is more intense than your average American pale ale, which is why it’s reminiscent of the even more bitter IPAs. I don’t get any citrus or pine notes here, but I do get a bitter pale ale taste with just a hint of tart crispness. Hops are predominant in the front end with a creamy maltiness in the middle and a dry back end. The composition is just the slightest bit watery and mild, but that’s okay because this is just a pale ale after all and is intended to be as drinker-friendly as possible. It’s ironic that hoppy beers tend to also be some of the smoothest and easiest beers to drink. While it’s accurate to say Sierra Nevada has a kick, it limits its intensity to your palate alone. It is perfectly medium in body – not too thick or thin. In fact, it’s rather mild in the mouth and goes down without resistance. It was difficult to not to drink by the gulp because of its taste and drinkability combination. 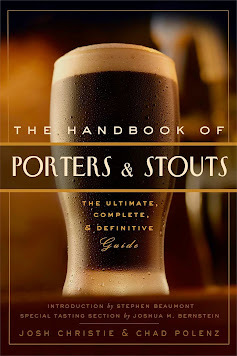 Beer snobs differ on what exactly the criteria are for light, medium and heavy beers as far as actual volume and weight. I say 5 to 6% ABV is average and since Sierra Nevada is 5.6% I’d say it’s perfectly average. It’s nothing the average drinker can’t handle and would absolutely work as a session beer or just an all-out party beverage. I’m actually sorry it took me this long to give Sierra Nevada Pale Ale the credit it deserves. Sure, I’m used to drinking a bit more obscure brews, but just because something is mainstream doesn’t make it bad. In fact, I would consider this one of the best all-around American beers considering its craftsmanship, taste, drinkability and availability. Everyone owes it to themselves to give this beer a try!